With the high quality Built-in chipset, K068 Bluetooth Microphone Speaker will offer you excellent sound quality with reverberation. Perfect speaker to sing with. The HG-1205LI Battery Charger is for Single 26650/18650/1450 battery.It can automatically stop charging when complete which is safe to use. • Built-in high quality chip, it produces excellent sound quality with reverberation. • No need to aim at microphone, it can capture your voice with pickup hole. • It may have similar effect with KTV, you will feel liking being on the scene of karaoke. • It supports almost singing software no matter on the phone or on the computer. • With 3.5mm audio jack, it can connect with Android, ios phone, ect. • Wireless Connection: You can connect with your phone with cable or Bluetooth. And turn on the Singing software on your phone or on your computer. • It is a wireless bluetooth microphone,connect with smartphone or tablet or computer by bluetooth.Then you will enjoy the fantastic music world by yourself. • It can be recorded the voice,keep your own beautiful voice in a good memory. 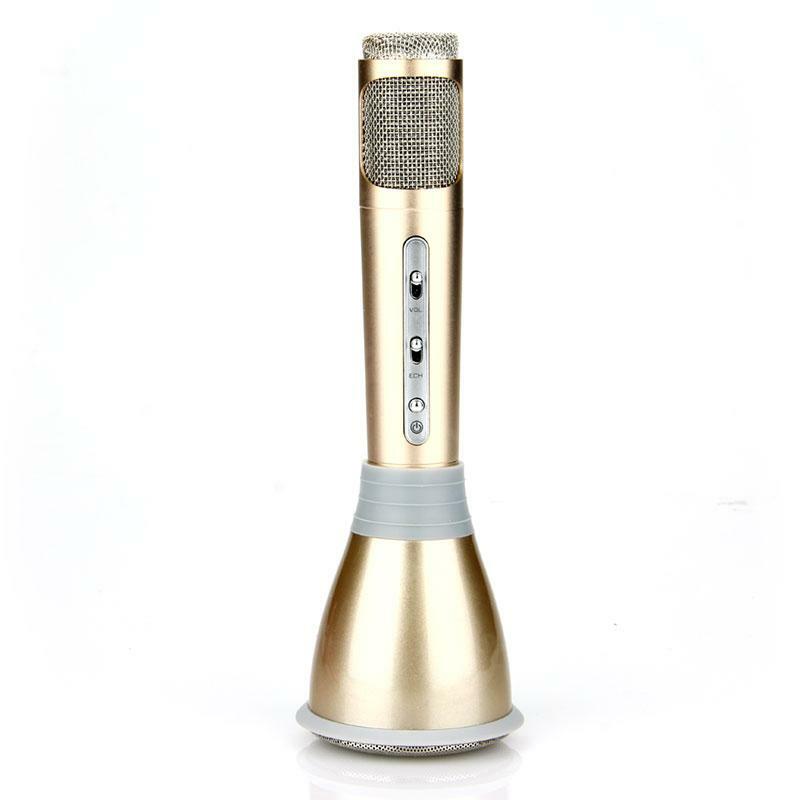 • It offer the professional tuning calibration,keep your real beautiful voice. • It can support the fantastic reverberation,low sound and high sound. 아주굿이예요.반신반의로구매했는데.. 모든게 완벽해요.배터리도 오래가고, 낮에아이들이랑노래불면서시간가는줄도모르고지내요. 잘사용하겠습니다. 처음엔 별로라고 생각했었는데 예상밖이에요 의외로 좋아요. Not only is it a microphone but it is also a Bluetooth speaker, easily connected to any Android phone and the volume is superb too! It is Bluetooth connection allows you to stream music from your iPhone, absolutely love this, good karaoke microphone!